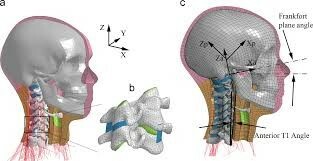 Impact severity in collisions that can cause soft tissue neck injuries are most commonly specified in terms of change of velocity. However, it has been shown from real-world collisions that mean acceleration influences the risk of these injuries. For a given change of velocity this means an increased risk for shorter duration of the crash pulse. 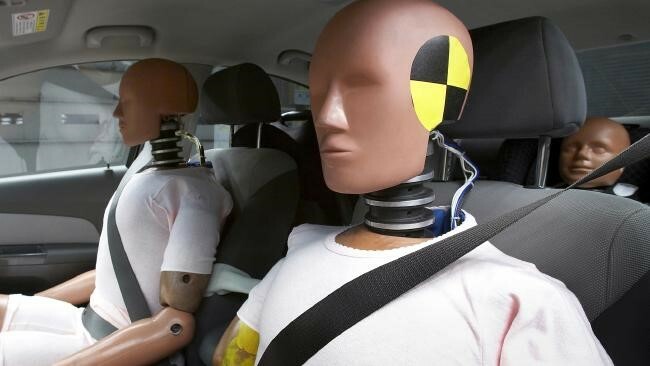 Furthermore, dummy response in crash tests has shown to vary depending on the duration of the crash pulse for a given change of velocity. The range of duration for change of velocities suggested for sled tests that evaluate the protection of the seat from soft tissue neck injuries are still to be established. 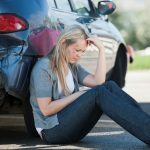 The aim of this study was to quantify the variation of duration of the crash pulse for vehicles impacted from the rear at change of velocities suggested in test methods that evaluate the protection from soft tissue neck injuries. Crash pulses from the same vehicle models from different generations in real-world collisions producing a similar change of velocity were also analyzed. The results from the crash tests show that similar changes of velocity can be generated with various durations of crash pulses for a given change of velocity in rear impacts. The results from real-world collisions showed that a similar change of velocity was generated with various durations and shapes of crash pulses for the same vehicle model. Rear impacts causing AIS 1 (AAAM 1990) neck injuries most frequently occur at delta-Vs (changes of velocity) below 30 km/h in the struck vehicle (Parkin et al., 1995, Hell et al., 1999, Temming and Zobel, 2000). Furthermore, it has been shown that mean acceleration (i.e. the duration of the crash pulse for a given delta-V) influences the risk of AIS 1 neck injuries (Krafft et al., 2002). It has also been shown that the shape of the crash pulse influences. 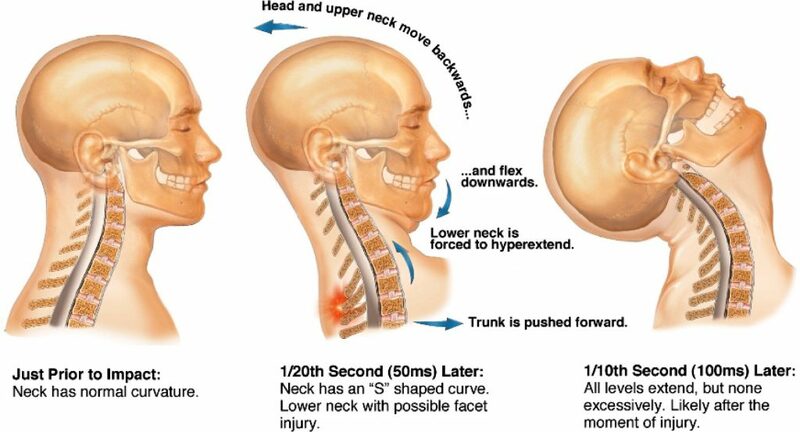 risk of AIS 1 neck injuries in frontal impacts (Kullgren et al., 1999). Acceleration pulses from rear impacts shows that the same delta-V can cause a large variation in acceleration pulse shapes in the struck vehicle (Krafft, 1998, Zuby et al., 1999, Heitplatz et al., 2002). From real-world collisions it has been shown that the acceleration pulse also can vary in shape (i.e. duration of crash pulse, maximum magnitude of acceleration, onset rate etc) in impacts of similar delta-Vs (Krafft, 1998). Dummy response in crash tests has been shown to vary depending not only on the delta-V but also on the duration of the crash pulse for a given delta-V (Linder et al., 2001a). The range of the duration of the crash pulse that corresponds to a specific deltaV in rear impacts has been shown to cover a wide range for vehicles impacted at the rear at a delta-V of up to 11 km/h (Linder et al., 2001b). The range of the duration of the crash pulse that corresponds to a specific delta-V in rear impacts that can cause AIS 1 neck injuries remains to be established. The range of the duration of the crash pulse for a specific delta-V is necessary to establish when designing impact severities for sled test methods that evaluate the safety performance of a seat in rear impacts, particularly in respect of AIS 1 neck injuries. Such test methods are at the moment under development Cappon et al. (2001), Muser et al. (2001), Langwieder and Hell (2002) and Linder (2002) and under discussion in groups like IIWPG (International Insurance Whiplash Prevention Group), EuroNCAP (European New Car Assessment Program), EEVC (European Enhanced Vehicle Safety Committee) Working group 12 and ISO (International Organization for Standardization) TC22/SC10/WG1. The delta-V suggested in sled test in these methods that represent the delta-V where the majority of rear impacts are reported is 15 or 16 km/h (Cappon et al., 2001, Muser et al., 2001 and Langwieder and Hell, 2002). A large variation in duration of crash pulse for a given delta-V and pulse shape can be produced in vehicles manufactured in the mid 1990s in rear impacts (Figure 6-12). Both delta-V and mean acceleration (i.e. duration of the crash pulse for a given delta-V) have been shown to influence the risk of AIS 1 neck injuries (Krafft et al., 2002). For a given delta-V a longer pulse will result in a lower mean acceleration and a lower risk of neck injuries (Krafft et al., 2002). The variation in durations of crash pulse for a given delta-V revealed in this study implies that vehicle seats aimed at reducing the risk of an AIS 1 neck injury should be designed in such a way that they provide the optimum protection in rear impacts in crashes where a great variation in duration of the crash pulse for a given delta-V might occur. These findings emphasise the importance of mean acceleration or the duration of crash pulse for a specific delta-V to be specified, in addition to delta-V, for sled tests that evaluate the protection from AIS 1 neck injuries of the seat, as suggested by Linder (2002). A large variety of durations of crash pulse for a specific delta-V will be produced in the same car model, as exemplified by the real-world crash pulses collected from two year models of the same vehicle make and model (Figure 15 and 16). Therefore it can be expected that any vehicle will in real-world collisions be exposed for a large variety of durations of crash pulses for a specific delta-V. This might indicate that the design of the seat would have the largest potential to reduce the risk of AIS 1 neck injury in a rear impact since a huge variety of pulse Linder 7 shapes will be generated in the same vehicle model due to the various configurations of the collisions. In this study the duration of the crash pulse (Tp) was defined as the time when the acceleration changed from positive to negative after 90 % of delta-V had occurred. This definition was used to ensure that the main part of the energy was transferred into the impacted vehicle at Tp. From the crash pulses analyzed for this study it was found to be a robust definition of the duration of the crash pulse. The crash pulses were filtered with CFC 36 due to oscillations found in the crash pulses. It has been surmised that these oscillations may be due to the mounting methods used to attach the accelerometers to the vehicles. For the real-world data the oscillations could be due to the design of the crash recorder. The filtering of CFC 36 was chosen instead of the CFC 60 and did not influence the delta-V from any of the pulses (as exemplified in Figure 3). The benefit of the CFC 36 filtering was that it highlighted the main characteristics of the crash pulses and was thus the rational of the choice. The two vehicles of the same make and model for the US and European market which were tested in this study had different bumper systems. The European bumper system (crush cans, bottom, Figure 17) was designed for the NCAR damageability test and required replacement after a test. The US bumper system (hydraulic shock absorbers, top Figure 17) resulted in no damages in both rear-into-flat barrier and rear-into-pole impact test at five mile per hour. From laboratorial tests with various vehicles impacted at the rear, a range of crash pulse durations between 65 ms to 130 ms was found for delta-Vs from 10.2 km/h to 19.4 km/h. Furthermore, from real-world rear collisions of the same vehicle make, a range of duration of crash pulse between 77 ms to 134 ms was found for delta-Vs from 12 km/h to 20.4 km/h. This study shows that a similar delta-V can be generated by a variety of mean accelerations. Since mean acceleration have been found to be the main factor influencing the risk of AIS1 neck injuries, both delta-V and the duration of the crash pulse for a specific delta-V (i.e. mean acceleration) should be taken into consideration when defining impact severities in sled test procedure for vehicle seat safety performance assessment. In a sled test procedure a specification of a delta-V is therefore suggested to be accompanied with a specification of the mean acceleration or the duration of the crash pulse and the range of duration for a given delta-V of crash pulses that the seat could be exposed to, be taken into consideration in such tests. Automotive Medicine, Des Plaines IL. Conf., Amsterdam, The Netherlands, Paper No. Vol. 3 (2), pp 141-149. Conference, Sitges, Spain, pp. 231-242. Prevention, Vol. 3 (2), pp 150-158. Performance- To Yield Or Not To Yield, Proc. 58603 912 4, pp. 118-133. Conference, San Diego, USA, pp. 267-278. Signup & Get A FREE Consultation With Dr. Tolmos!